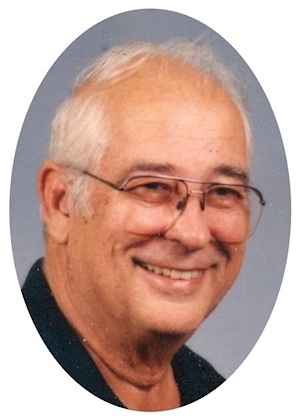 Obituary – Williams, Joseph Rodger « Perry High School Alumni Association, Inc.
Joseph “Joe” Rodger Williams, 86, of Perry, Oklahoma, was born on February 19, 1927 in Okemah, Oklahoma to Julian and Ethelyne (Lewis) Williams. He passed away on Saturday, October 5, 2013 in Perry, Oklahoma. In 1943, at the age of 16, Joe enlisted in the United States Navy. He served until the end of the war. After serving his country, Joe returned home to finish high school. 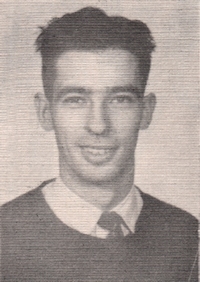 He also attended Oklahoma State University for two years. He and Shirley Ann Warren were married on August 21, 1949. They were married for 53 years. Shirley preceded him in death on January 30, 2003. Joe was active in his sons’ sports clubs while they were in school. He was also a member of the Presbyterian Church and the Veterans of Foreign Wars (VFW). Joe owned and operated two local businesses until his retirement in 1988; Northern Oklahoma Butane from 1950 to 1988, and The Sport Shak from 1962 to 1988. A private family service will be held. Services are under the direction of Brown-Dugger Funeral Home in Perry, Oklahoma. Joe is survived by one son, Jay Scott Williams and his wife, Cindy; one daughter, Teresa Sue Williams Reaves Stahl; one granddaughter, Rebecca Stahl, all of Perry; two grandsons, Justin Williams and his wife, Sheree of Moore, Oklahoma and Jason Williams; and four great-grandchildren, Emily Parker, Julian Williams, Adrian Williams and McKenzie Williams. He was preceded in death by his wife, Shirley; parents, Julian and Ethelyne Williams; and sons, Dale Evan Williams and Max Bryan Williams.